There are two basic types of fiber optic strands in use today. Multimode fiber typically has a 62.5 or 50 micron core size, and is limited in distance to approximately two miles. Singlemode fiber has a core size of 9 microns and provides much longer distances out to sixty miles before the signal needs to be regenerated. 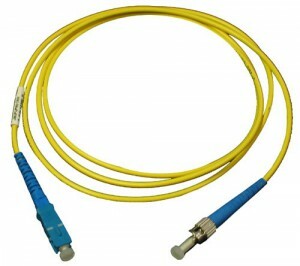 Multimode fiber is commonly used for communications between telecom closets and buildings on a campus. 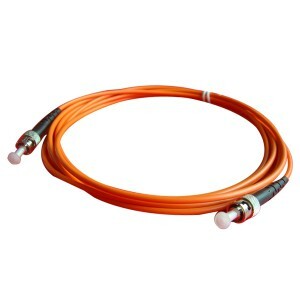 Singlemode fiber is used by cable, telephone, and long-haul data companies to provide communications across town, across the country, and around the world. Because a micron is one one-millionth of a meter, it is impossible for you to see the difference between a multimode and a singlemode fiber without using a specialized microscope that provides 100 or 300X magnification of the connector face. Most fiber cables made in the last twenty years are labeled on the outside jacket with information about what kind of fiber(s) are inside the cable. For example, a cable might be labeled 6- 62.5/125 which tells us that the cable contains six strands of multimode fiber. If a cable isn’t labeled, usually there’s a part number from the manufacturer that can be investigated to find out what types of fiber strands are within a specific cable. Another way to determine the type of fiber that’s been installed is to take a look in one of the telecom closets. 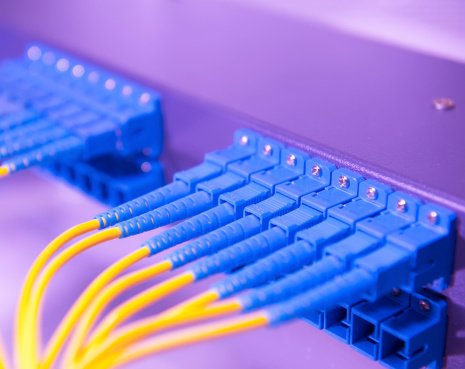 While premise fiber cables might be gray, black, or another color, in most cases the jumper fiber links used to connect devices within the telecom closet use a color code where orange indicates 62.5 multimode, aqua is used for 50 micron multimode, and yellow jumpers are singlemode. So a quick look at the fiber optic patch panels will likely tell us what kind of fibers to which we will be connecting our security devices. The reason it’s important to know the type of fiber is that while multimode fiber transmitter/receiver sets will usually employ inexpensive LED light sources, singlemode fiber requires specialized laser light transmitters that are substantially more expensive. The transmitter and receiver sets must be selected to match the type of fiber that’s being used. ADI offers a full line of fiber optic cables online and at ADI branches across North America. Click here to learn more.